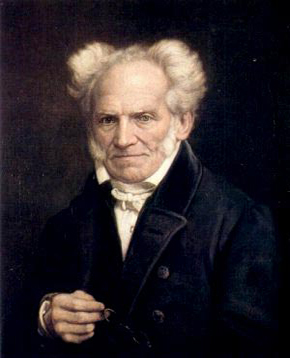 The German Philosopher Arthur Schopenhauer once said that thequestion “Why?” is the mother of all sciences. In our era of modernity, physics offers a lot of answers, almost every day. These answers however, refer to sophisticated questions that presuppose a lot of “established” concepts. What bothers me is that some more basic problems seem to have been forgotten in this process. I want to illustrate that with two examples from particle physics and astrophysics. Today’s neutrino experiments deliver data about the so-called mixing angles, which represent the probabilities of the three neutrino flavors (elecron, muon, tau) being transformed into each other. This is an experimental answer on the `top level’, but the underlying question “Why do three types of neutrinos exist?” (once raised by Emilio Segre) is about to fade. Today’s physicists would be even less likely to bother with the question “Why do neutrinos exist at all?”, though one may justifiably wonder why Nature had created such peculiar and elusive objects. To address such questions properly, one has to study a little bit of history (in this case, Wolfgang Pauli’s ideas of around 1930). This would lead to the still more basic question of whether energy has to be conserved during the beta decay – as discussed at the time by Niels Bohr. Also, there is still another fundamental question which seems to have been forgotten by the overwhelming importance of radioactivity in physics (indeed, its discovery triggered its biggest revolution). Why did Nature invent radioactivity after all, and why in different types? Couldn’t one just think of a world with stable nuclei? Is the very existence of radioactivity just a superfluous whim of Nature? Or is there something we still fail to understand? When one follows the latest news in cosmology, it appears that the acceleration rate of the universe is changing (“How much?” would be the question) – in the jargon, this is called the time dependence of the cosmological constant or of dark energy. However, we have barely digested the very existence of dark energy (2011′s Nobel prize), as it means asking: “Why is the expansion of the universe accelerating?” This is a worthwhile problem to ponder, however, but on a still more basic level we can ask: “Why is the universe expanding?” Of course, Edwin Hubble’s observation of 1930 is now interpreted as indicating such expansion and there is no reason to warm up the `steady state’ model which was popular in the 1960s. However, a good reason for why the universe must expand does not seem to exist (I shall come back later to an idea of Robert Dicke in 1957). Theorists would immediately argue that Einstein’s equations do allow only for contracting or expanding solutions, which is true. But this does not answer the question in terms of a logical necessity, as Einstein used to phrase it: “I want to know if he [the creator] had a choice”. I do not think that going to ever more sophisticated levels of questions and answers, while leaving behind the important ones, will advance physics in the long run. And surely, the pragmatic approach “Well it is as it is, let’s continue to collect more data” cannot be said to be a wise one. This entry was posted in Fundamental constants, Methodology, neutrinos, Simplicity by AlexanderUnzicker. Bookmark the permalink. Hi Alexander, I bought your book. I thought it was very good. Re “a good reason for why the universe must expand does not seem to exist”, there is a good reason. However the state of physics and cosmology is such that scientific progress is hampered. You don’t get to hear about the reason. Instead people peddle mystery. Asking and answering the right questions is a dangerous thing. Copernicus, one of the best educated person of is era, started wondering whether the stars moving in lockstep across the sky was an indication of everything in the Heavens was moving around the earth in a 24 hour period or and indication that the stars were stationary and the earth was rotating on its axis. He should not have asked that question. Let alone answer, He only did because he had have the wherewithal to do something about it. And when he correctly did his life was never the same. He spent the next 30 years trying to prove his musing right. I dread telling you my two answers to two questions that I was stupid enough to ask and answer about gravity and quantum mechanics which I have spend over 30 in solitary trying to answer. I dread it because you will probably be like every one else and ignore its significance and proof. My Copernican switch: Its the radiation emanating from mass and not the mass itself that does the attraction of other mass. Its legitimate to ask the foolish question. Is it the 10^31 kg mass of the sun or the 10^26 joules of radiation leaving it every second that does the attracting of the planets? With a heat source below and a cold source above I can get a ~0.5 kg test mass to change its weight by 9%. Recently A. Dmitriv has done several studies getting his test mass to change weight with heat. In 1916 P.E. Shaw got his test mass to change its weight with heat. His results, thank god, at least got decent reaction when it was published in “Nature”.